It was great being a postdoc in Bob Eisenman’s Lab at the Hutch in Seattle. I loved it. Bob is a great mentor (see more on my experience there here) and the scientific interactions in the lab were wonderful. It’s been fun and interesting to follow the work of my fellow former Eisenman lab members over the years. 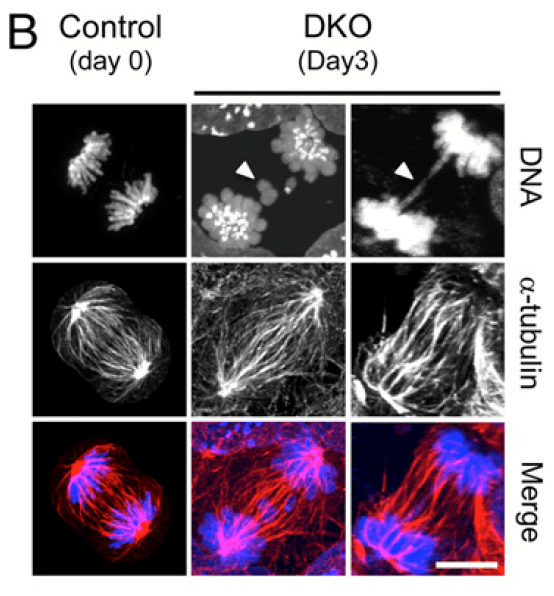 For example, another former postdoc from the Eisenman lab, Shaun Cowley, has a lab that is doing some exciting research on the role of histone deacetylase (HDACs) in stem cells including embryonic stem (ES) cells. Shaun’s lab has just come out with a great new paper in PNAS on the role of HDAC1 and HDAC2 in ES cells. The paper, Jamaladdin, et al., focuses on using knockouts of HDACs 1 and 2 in ES cells to, in a very elegant way, decipher their functions related to pluripotency and also the molecular machinery that controls HDAC activity. HDACs 1 and 2 are major regulators of global histone acetylation levels and transcriptome activity in the epigenome. They are recruited at least in part via a corepressor protein of great interest called Sin3. The Mxd/Mad proteins that in part act as Myc antagonists recruit HDACs via Sin3. Shaun’s lab reported that knockout of HDAC1/2 reduces most of the overall HDAC activity in ES cells, which end up losing viability too. The HDAC deficient cells also do not segregate their chromosomes properly (see Figure 2C above). The HDAC knockout ES cells exhibited some interesting changes in gene expression as well, including reduced expression of key pluripotency factors such as Oct4 and Nanog. Digging into mechanisms they found that a molecule called inositol tetraphosphate (IP4) controls HDAC activity. While introduction of WT HDAC1 can rescue cell viability in HDAC1/2 knockout ES cells, mutant forms of HDAC1 that have impaired ability to bind IP4 also in turn have substantially reduced ability to rescue HDAC null ES cell viability. This leads us to predict that specific inhibitors of HDAC1/2 should exhibit selective toxicity toward immortalized cell types, making them effective therapeutic targets in the treatment of cancer. I enjoyed this paper and recommend it. Thanks for sharing this Paul. Sin3A in particular is dear to my heart! I will definitely be reading this!